Pate de verre is a kiln-casting process in which colored powdered glass is packed into a plaster mold, then fired at a high temperature. The result is a relatively thick, somewhat opaque object. Here, Shin-ichi Higuchi shows us a similar, yet very different process. 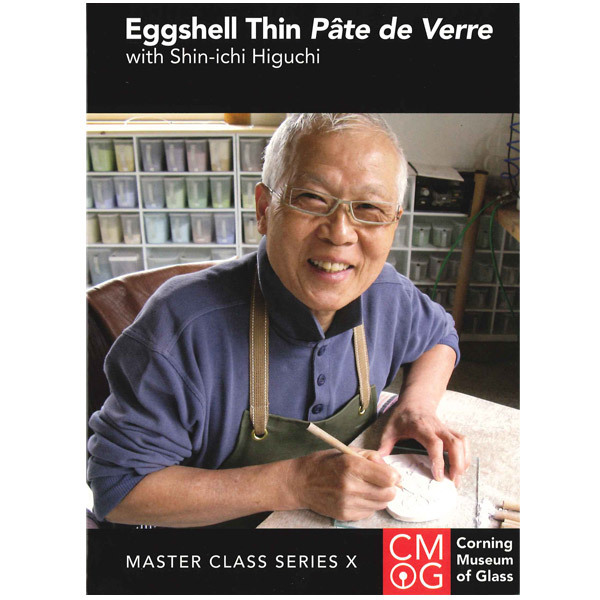 After years of research and experimentation, he shares with us his rediscovery of a late 19th century/early 20th century pate de verre process for making eggshell thin, translucent vessels. Deeply inspired (and challenged) by the work of French Art Nouveau artists Francois-Emile Decorchemont and Albert Dammouse, Higuchi reveals his creative voice in a very challenging medium. Run time: approx. 40 min.